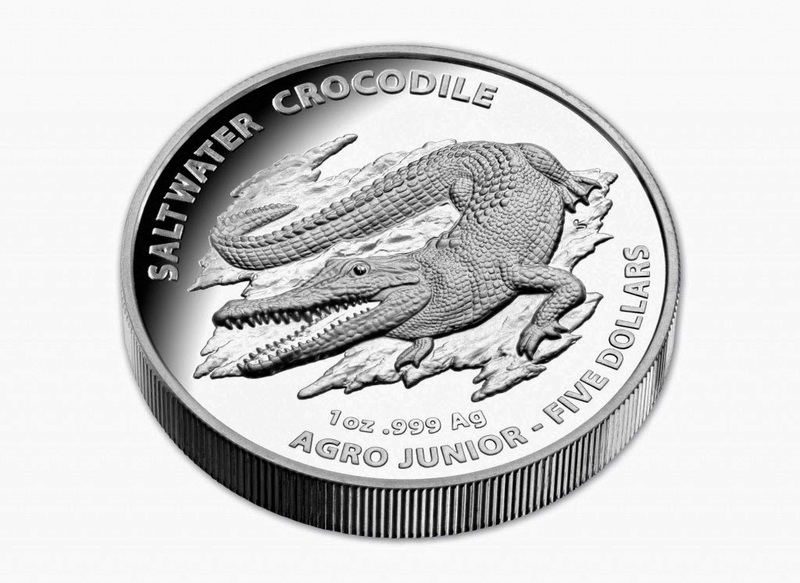 The Mint’s collaboration with Australia Zoo, the sixth coin in the popular Australian Saltwater Crocodiles series features our favourite crocodile of the moment, Agro Junior. Becoming fearfully lifelike on the newest coin, the meticulous high relief technique has allowed our coin designer to provide much more depth to the design. Appearing like a scene captured from Australia Zoo’s Crocoseum, Agro Junior lies eagerly in wait on a creek bed. With an extremely low mintage of only 1500 and an unheard-of price for a strictly limited edition product, this stunning coin will not be lurking around for long. Condition: Brand New in original issue condition. Whether you call it the saltwater crocodile, the estuarine crocodile or crocodylus porosus, it is the largest reptile roaming the earth today. Lurking in dark and murky waters around the northern areas of Australia, they can surprise and terrify a wide range of prey. Anything that flies, swims or roams in its watery region is fair game for this formidable creature. Since 1988, 37 year-old Agro has lived in the comfort of Australia Zoo’s Crocoseum. This 15 foot wonder was captured from the wild to protect him from the hunters who were stalking his Cattle Creek home. Not only did he find a new home, but he found love with Cookie, a ten-foot lady crocodile who is the calmest and gentlest of crocs in the enclosure. Agro and Cookie raised a son, Agro Junior, the star of this new collectable coin.